Galaxy S8 Advanced Security Settings - Use these Galaxy S8 settings options to configure advanced security settings. 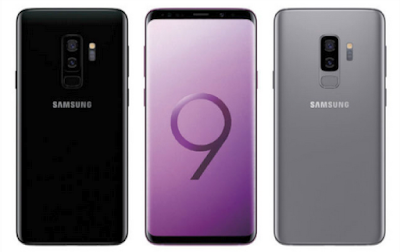 New Galaxy S8 Samsung care deeply about your privacy. So Samsung put in place effective mechanisms that prevent unwanted snooping, while making it surprisingly convenient for you. There's iris scanning for airtight security, face recognition for unlocking your phone right away, and defense-grade security that stands guard around the clock. Trust agents: Perform selected actions when trusted devices are connected. To view Trust agents, set up a secured screen lock (Password, PIN, or Pattern). Pin windows: Pin an app on your device screen, preventing access to other features of your device. Usage data access: View the applications that can access your device’s usage history. Notification access: View the applications that can access notifications you receive on your device. Do not disturb permission: View which apps have permission to change the Do not disturb settings. Secure your Galaxy S8 / S8+ device and protect your data with Galaxy S8 Lock Screen and Security settings. Swipe: Swipe the screen to unlock it. Pattern: Create a pattern that you draw on the screen to unlock your device. Password: Create a password for unlocking the screen. Face: Use facial recognition to unlock your device. Fingerprints: Use fingerprint recognition to unlock the screen. Iris: Use iris recognition to unlock the screen. Smart Lock: Unlock your mobile device automatically when trusted locations or other devices have been detected. A secure screen lock is required for this feature. Secure lock settings: Set your secure lock functions such as Secured lock time and Smart lock. A secure screen lock is required for this feature. Choose what to display on a Galaxy S8 standby screen instead of turning off the screen. Galaxy S8 Guide to turn this feature on or off without going to Settings, double tap the Galaxy S8 Always On Display screen. Content to show: Choose to show Home, a clock, or information. Clock style: Select a layout for the standby screen. This is not available if you choose Home button only. Show always: Enable to show the Always On Display at all times. Set schedule: If you disable Show always, then set a schedule for when to start and end Always On Display. 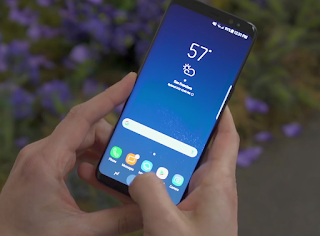 Configure Galaxy S8 Advanced settings the display for Lock screen and Always On Display (AOD). From a Home screen, swipe up to access Galaxy S8 Apps. Information and FaceWidgets: Set a clock, FaceWidgets, or Contact Information to display on the Lock screen and Always On Display screen. Notifications: Select which notifications to display on the Lock screen and Always On Display screen. App shortcuts: Select which apps to open from the Lock screen. 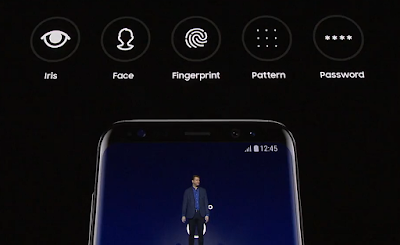 Use Samsung Pass on Galaxy S8 to access your favorite services with biometric data. You must sign in to your Samsung account to use Samsung Pass. Tap Settings > Lock screen and security > Samsung Pass. Follow the prompts to sign to your Samsung account and add your biometric data. Warning: Enabling installation of third-party applications can cause your device and personal data to be more vulnerable to attacks by unknown sources. Galaxy S8 Manual enable installation of non-Google Play applications. Tap Settings > Lock screen and security > Unknown sources to enable this option. Lock your private content and apps to enhance security. You must sign in to your Samsung account in order to use Galaxy S8 Secure Folder. You must also set a secure lock for your device. Tap Settings > Lock screen and security > Secure Folder and follow the prompts to secure content on your device. Protect your device by requiring a numeric PIN or password to be entered before it starts up. You must have a secured screen lock for this option to be available. Tap Settings > Lock screen and security > Secure startup and select an option. Require a numeric PIN or password to decrypt your optional memory card (not included) when you first access it after powering on your device. Tap Settings > Lock screen and security > Encrypt SD card. Tap Encrypt SD card and follow the prompts to encrypt all data on your memory card. Require your SIM card PIN to unlock and use your SIM card Galaxy S8. Tap Settings > Lock screen and security > Other security settings > Set up SIM card lock and follow the prompts. Tap Lock SIM card to enable the feature. Tap Change SIM card PIN to create a new PIN. Display password characters on Samsung Galaxy S8 briefly as you type them. 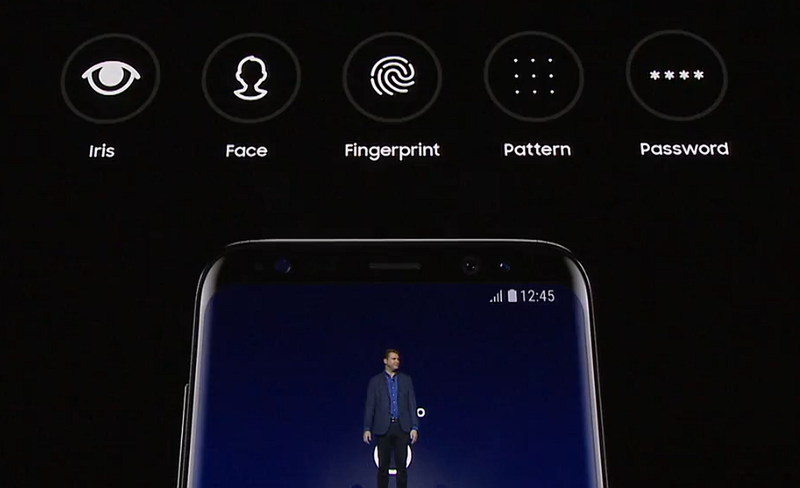 Tap Settings > Lock screen and security > Other security settings > Make passwords visible to turn the Galaxy S8 feature on. Security policy updates: Automatically or manually check for security policy updates. Automatic updates can also be limited to only when your device is connected to a Wi-Fi network. Send security reports: Use Wi-Fi to send security reports to Samsung for threat analysis. Manage your device administrators and application installation privileges. Tap Settings > Lock screen and security > Other security settings > Phone administrators. Tap Android Device Manager to allow it to lock or erase a lost device. Tap Secure Folder to allow it to manage your device. Tap Support & Protection to protect your mobile device from threats posed by malicious websites. Manage your security certificates. If a certificate authority (CA) certificate gets compromised or for some other reason you do not trust it, you can disable or remove it. Storage type: Select a storage location for credential contents. View security certificates: Display certificates in your device’s ROM and other certificates you have installed. User certificates: View user certificates. Install from phone storage: Install a new certificate from storage. Clear credentials: Erase the credential contents from the device and reset the password.